Lots of women fear stretch marks. Some women start thinking about how they can prevent them as soon as they find out they’re pregnant! Creams? Lotions? A diet change? The instant stretch mark cure from that late-night infomercial? So if you’re hoping to prevent stretch marks, chances are it can be done. But, if you’re looking for a single silver bullet in a lotion or cream, you’ll have to look further than that. 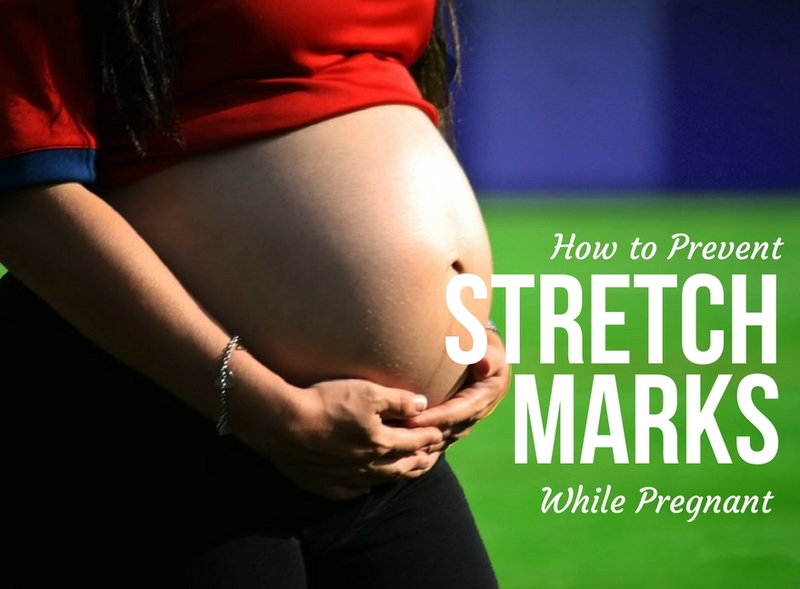 Your diet, your stress levels, and so much more can affect whether or not you get stretch marks. Expectant moms need lots of protein. 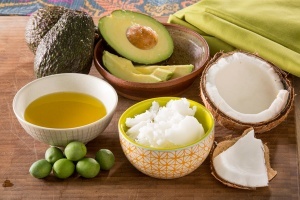 You also need plenty of healthy fats for your baby’s brain and organ development. You’ll also need a lot of water. This is due to your increased blood volume and the baby’s amniotic fluid that needs to be continually replenished. In general, you need a nutrient-dense diet to give both yourself and your baby all the nutrition you need. Supplementation (for example, prenatal vitamins) may also be necessary if you weren’t eating a nutrient-dense diet prior to pregnancy. For a good overview of an optimal pregnancy diet, check out Wellness Mama’s post here. Collagen is a protein that’s found in our muscles, bones, skin and tendons. It not only gives our skin elasticity and makes it stronger, but it also helps to replace dead skin cells. Gelatin powder is the easiest way to get it into your diet. Just make sure to always buy grass-fed! 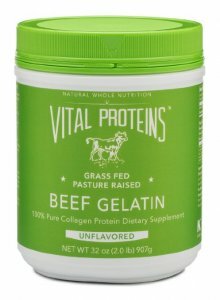 Vital Proteins makes an excellent gelatin powder that dissolves well in hot liquids/soups and is flavorless. You can add it to your morning tea, a lunch time soup, or a cup of warm milk at the end of the day. You can also add it to your baking for a little extra oomph! If you use it, make sure to add it slowly and mix quickly. It can clump and, yes, it gels when refrigerated…which is a good thing when you want to make homemade fruit gummies or marshmallows out of it! 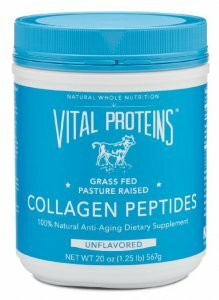 Vital Proteins also makes collagen powder – same as above but this one can be mixed into cold liquids like smoothies or juices. It digests faster but doesn’t coat the small intestine the way gelatin does. Coating the small intestine facilitates gut healing, as in the GAPS diet. For more info, check out Vital Proteins’ breakdown of their two products. WOW! If that’s not a testament to the fact that whatever she’s doing is working, I don’t know what is! Again, it’s not all about one silver bullet solution. After her first child, she also changed her diet (see Step #1) and, yes, she does promote adding gelatin to one’s diet. 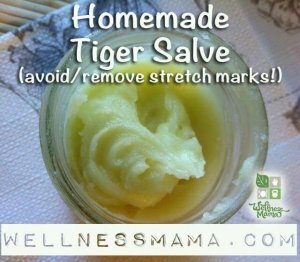 Her stretch mark salve is just a bonus addition to a comprehensive approach to a healthy body, nourished from the inside out, which is already resilient to stretch marks. Do you have any suggestions on how to prevent stretch marks? Please share in the comments!